Thirty years after the song “Be My Lady” have been one of the most favourite love songs of OPM and as the rise of the Concert King Martin Nievera, PolyEast Records celebrates a legendary career with the release of the album Martin Nievera 3D: Tatlong Dekada. The new album represents Martin’s every aspect of his career – from recording to touring to endorsements to best-selling albums. “Here’s a CD of 15 newly written songs just to add more magic to OPM. I’m just so proud of this album because it’s going to celebrate my 30 years in the business without having to look back. Let’s just say, today is first day of the rest of my career,” Nievera said. As the album celebrates Nievera’s achievements of the past and the promise of the future, Martin Nievera 3D: Tatlong Dekada is now available in stores released by PolyEast Records which comes with a CD plus DVD-- collecting music videos of Nievera’s monumental anthems that played a pivotal role in his musical history. Being Nievera’s home label since his album Chasing Time in 2002, PolyEast Records has put together an outstanding collection featuring Nievera’s classic signature sound with 15 original songs and three classic remakes. The first single taken from the highly anticipated new album is entitled Ipadarama written by the award-winning composer Kiko Salazar and currently being played on local radios. To celebrate 30 years of music and the release of this new album, Nievera's collaborative approach to writing and recording his new music is evidenced throughout the album with the help of some of the most notable songwriters and producers of OPM which includes Marvin Querido, Joey Benin, Jungee Marcelo, Ogie Alcasid, Arnie Mendaros and Kiko Salazar. Nievera also recorded three remakes which run the gamut of his varied stylistic approach and what Nievera has been known for, for the past years. “Remakes became my new therapy… to bring back new life to old songs” Nievera said. Remakes include the song “Pangako”, originally by Ogie Alcasid, was used in the teleserye “Walang Hanggan”; Paul Anka’s “Times of Your Life” with Nievera’s version from the hit teleserye Lorenzo’s Time; and a timeless collaboration with Vina Morales in teleserye’s A Beautiful Affair’s song “After All” which was originally popularized by Peter Cetera in the 80s. For hundreds of thousands of fans who have sung and celebrated with OPM’s concert king, Nievera has been a constant factor in their lives. Now here’s how he would like to thank all the fans who have been supporting him over the past 30 years. 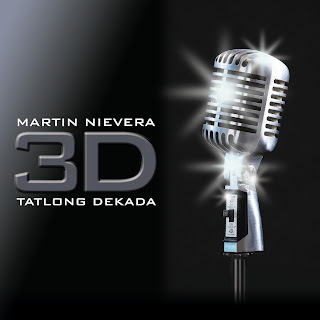 Martin Nievera 3D: Tatlong Dekada is now available in stores nationwide released by PolyEast Records. Special thanks to Discovery Suites. 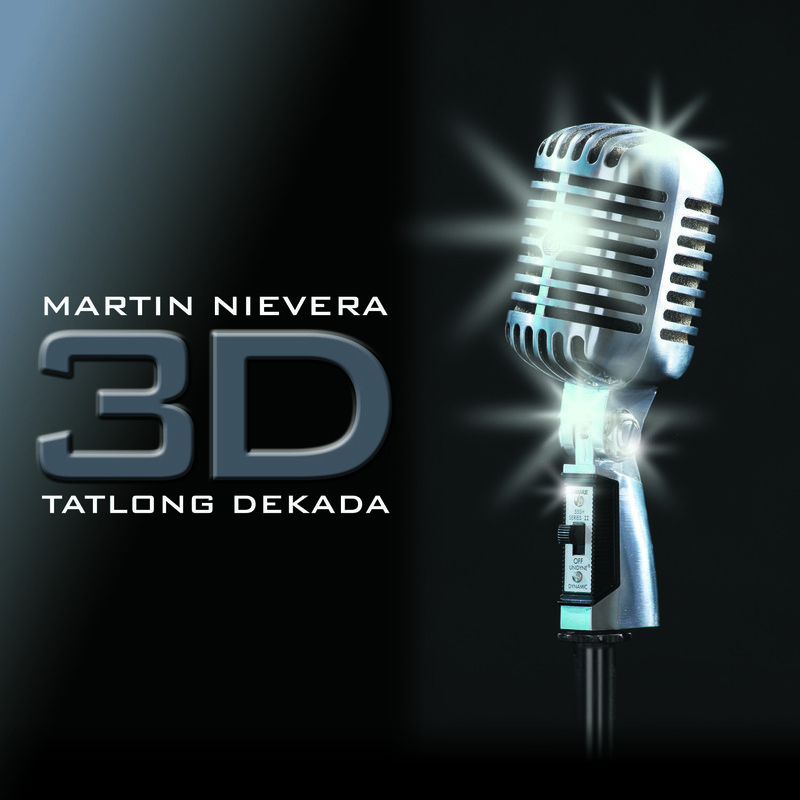 Martin Nievera 3D: Tatlong Dekada is also available for download at www.MyMusicStore.com.ph and www.iTunes.com. For more information you may visit our website www.polyeastrecords.com, ‘Like’ us on Facebook, follow us on Twitter and Instagram. Thanks to your radio partners: Love Radio (Manila, Iloilo, Davao Bacolod), IFM (Manila, Cebu, Iloilo and Bacolod), Pinas FM, Barangay LS, Home Radio (Manila and Davao), Yes FM (Manila and Davao), Tambayan, Star FM (Manila and Cebu), Wow FM (Manila and Davao), Hot FM Cebu, Energy FM (Cebu and Davao), Wild FM, Win Radio (Cebu and Davao), Campus Radio (Iloilo and Bacolod), and MOR (Davao, Iloilo and Bacolod).